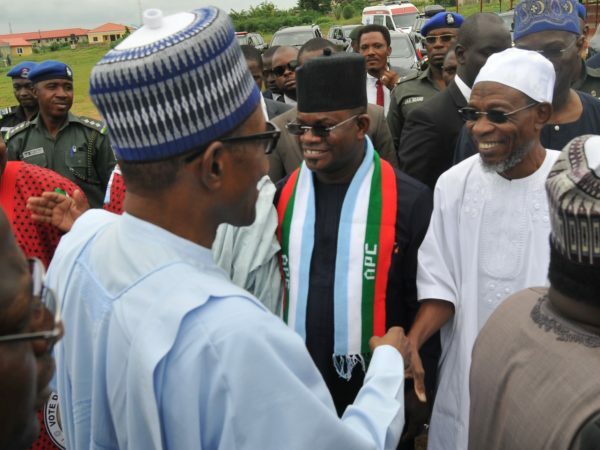 The people of Ekiti state gave an indication of their voting intention on Tuesday when they defied the orders by outgoing Governor Ayodele Fayose of the Peoples Democratic Party, ordering buses and taxis off the roads and urging residents in the state capital of Ado-Ekiti to stay at home and snub visiting President Muhammadu Buhari. 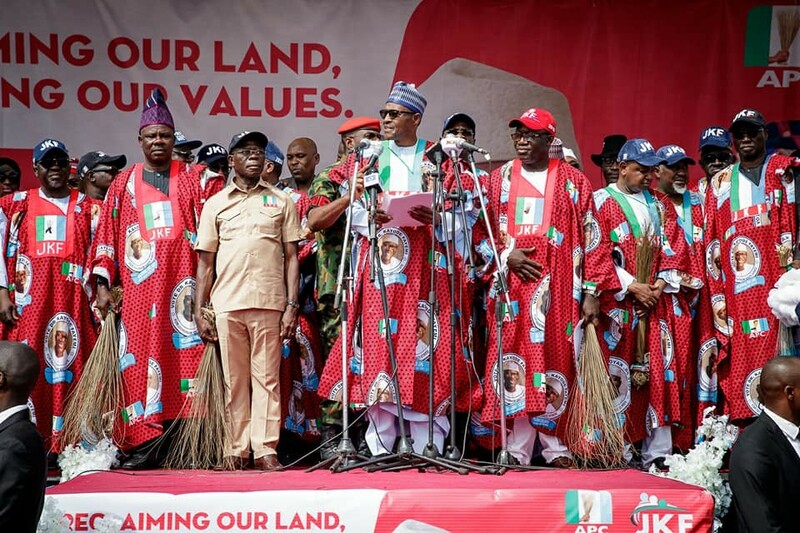 Buhari was in Ado-Ekiti to attend the grand finale of All Progressives Congress candidate Dr. Kayode Fayemi’s campaign for the governorship seat, in the election holding on Saturday 14 July. Fayose’s deputy, Prof. Kolapo Olubunmi Olusola-Eleka is Fayemi’s main challenger. NAN reports that many residents of the state capital ignored Fayose’s orders made in a broadcast earlier in the day. The governor had directed commercial drivers and motorcyclists to withdraw their services, until 4pm, from the roads. He also ordered that public offices and major markets in the city be closed and residents to stay indoors to slight the visiting president. As a result of the governor’s order, all offices in the State Secretariat were on Tuesday closed. To ensure compliance, he asked the vehicle owners to park their vehicles in the Government House, where he held a counter rally. However, NAN reports that contrary to the governor’s order, many commercial drivers came out to operate, while many market men and women also opened their shops for business. NAN reports that normal commercial activities went on normally on Tuesday with a good number of commercial drivers and motorcyclists plying the routes. The Oluyemi Kayode Stadium, venue of the APC rally. For several hours, taxi cabs and Okada riders picked passengers at bus stops along Ikere Road, Ilawe Road, Adebayo, Old Garage, Basiri, Old Garage, Odo Ado and Oke Ila, among others. Market women also came to the popular Oja Oba and Bisi Markets, contrary to Fayose’s order that the markets be closed. 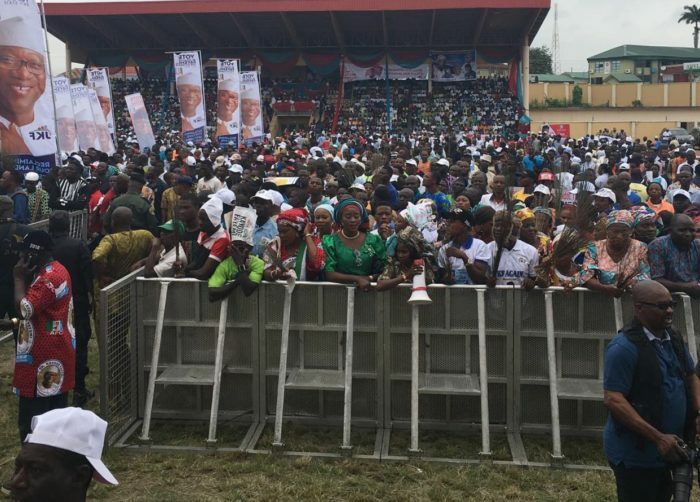 APC members and residents were seen in many parts of the city trooping to the Oluyemi Kayode Stadium, venue of the rally, which ultimately became full before 12 noon. Correspondents of the News Agency of Nigeria (NAN) covering the rally report that it was not easy for people with no direct relevance to the rally to enter the Stadium, as securitymen frisked them. The security was complemented by air surveillance by men of the Nigeria Police Force.